Create business relationships exclusively in Competitive Accounts in a specific geographical area. Grow new market share through conquest sales, selling the depth and breadth of CDK’s product portfolio. 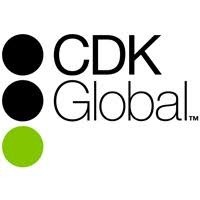 Work in conjunction with all of your channel partners to increase sales opportunities of CDK Strategic Products. Achieve annual assigned sales plan, working under guidance of Director of Sales. Aggressively acquire new business for new by strengthening and influencing key automotive dealer relationships. Interface and work withinternal teams through the sales and implementation process.